Raymond H. Fogler Library located on the main campus in Orono,is the largest research library in Maine, with collections and services supporting the faculty, students, and staff of the University as well as residents of the State of Maine. The collections include approximately 1,040,000 volumes, 3,889 periodical subscriptions, 1.6 million microforms, 2.2 million United States Federal, Maine State, and Canadian federal and provincial government publications, and a rapidly growing number of electronic resources. The Library also has a large number of information resources in a variety of electronic formats. The Darling Marine Center is the marine laboratory of the University of Maine and the site of world renowned marine research. Located in the small town of Walpole, 60 miles northeast of Portland and 100 miles south of the University's Orono campus, the DMC functions year round to support UMaine faculty and students, as well as visiting investigators from across the country and around the world.The Ira C. Darling Marine Center in Walpole houses a specialized collection focused on marine studies of more than 13,300 books, journals, and reprints. We have a carefully chosen book collection of more than 25,000 volumes, 550 audio and video recordings, and 180 periodical subscriptions. If we don't have what you need, we are happy to help you get the resources brought to you from other libraries. Nottage Library serves the students, staff and faculty of UMA-Bangor, conveniently located at 85 Texas Avenue (Belfast Hall) in Bangor. UMF’s Mantor Library serves as a partner in the educational mission of Maine’s public liberal arts college, Mantor Library provides instruction and information access to faculty and students, allowing them to meet their scholarly and research goals. The library serves the larger community as a regional information center, within the limits of the library’s resources and its primary commitment to the university community.. The library is designed to support the curriculum and the research projects of the students, faculty, and staff of the University of Maine at Presque Isle. 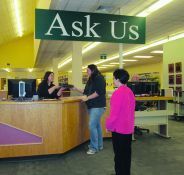 The library also offers limited service to the general public, and to area high school students. The library contains more than 458,500 items of library material including bound volumes and microform equivalents of periodicals, hard copy and microform equivalents of government documents and audiovisual items. The library currently subscribes to 425 periodicals. The Law library has a complete collection of federal and state statutes and law reports, as well as a comprehensive collection of Canadian and British Commonwealth law reports and statutes. The legal periodical collection of the law library is outstanding and features most American, Canadian, and British legal periodicals. As a U.S. Government publications depository, the law library receives federal publications which support law student and faculty research. As an official depository for the European Union, the law library receives essential European documents, as well. The library's treatise collection provides in-depth coverage of most legal fields. Computer assisted legal research services are available to students, staff, and faculty of the Law School. USM's new Portland library contains more than 200,000 bound volumes, 1,500 subscriptions, and nearly 3/4 million pieces of microfilm. The Gorham campus library is located in Bailey Hall. Bailey Hall, which was built in three units. The first was the Science Wing constructed in 1958, which contains classrooms, laboratories, and offices. It was followed in 1961 by the Library Wing which contains classrooms, conference rooms, and faculty offices, as well as the separate two-story Library. The third and final unit, a classroom wing, opened in 1969. Dedication of the building to Dr. Francis L. Bailey, who served as the President of Gorham from 1940 to 1960, was conducted on November 17, 1959. Dr. Bailey's administration saw the name of the institution change from Normal School to State Teacher's College in 1945. The Lewiston-Auburn College Library maintains a collection of over 16,000 volumes, more than 200 journal subscriptions (paper and microfiche), and approximately 450 videocassettes. The library's collection reflects the degree programs (both USM and UMA) offered at Lewiston-Auburn College. Its strengths are in management, leadership, and organizational studies, social and behavioral studies, occupational therapy, and nursing. Recently, materials in the natural and applied sciences and the arts and humanities have been added. Located in the Katz Library at the University of Maine at Augusta, OCLS Serves distance education students, staff, and faculty of the University of Maine System. The University of Maine System's distance education organization, University College offers access to courses and programs from the seven universities at more than 75 locations and online. More than three thousand Maine people take courses and work toward degrees at University College outreach Centers and receive sites each semester. A bureau within the Department of Secretary of State, the Maine State Archives maintains approximately 95 million pages of official State records considered to be permanently valuable. The earliest dates from 1639. Our Archives Services Division preserves and provides access to these archival records. Records Management Services Division identifies and schedules State and local government records to insure they are retained and, if not archival, destroyed properly. The Division conducts training and creates publications to assist government agencies in meeting general records management requirements. Its State Records Center maintains approximately 120 million pages of official State records not currently needed in State offices and scheduled for ultimate destruction.